Pines at Roxborough is a large development of over 900 homes built between 1986-2003 by several builders including Centex Homes, D.R. Horton Inc, KB Home and Pulte Homes. This subdivision in Roxborough, the south part of Littleton has a diverse selection of floor plans that range from 1,100 to 3,000 finished square feet. Home styles are mostly 2-story with a few ranch & multi-level. The homes sit on a tenth to quarter acre lots and include a 2-car attached garage. KC & Associates manages the HOA which includes trash removal. 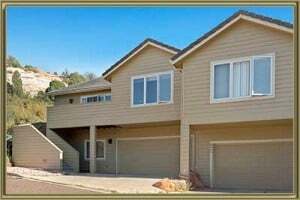 The homes in Arrowhead Shores are just minutes from Waterton Canyon, Roxborough State Park, Chatfield State Park and the beautiful Arrowhead Golf Course. See what your Townhome is worth With an Instant Home Valuation Online. Want advice on selling your Townhome? We provide a free staging consultation, pre-listing prep plan, and a Pines at Roxborough real estate market analysis. Call us at 303-325-5690 to learn more. New to the Area? Call our Pines at Roxborough real estate agent at 303-325-5690 to schedule your tour of Townhomes in Littleton CO.